Halloween Bark is all the rave this year and it's super easy to make! Plus I love that you can add anything you want, sprinkles, your favorite candy toppings and more! 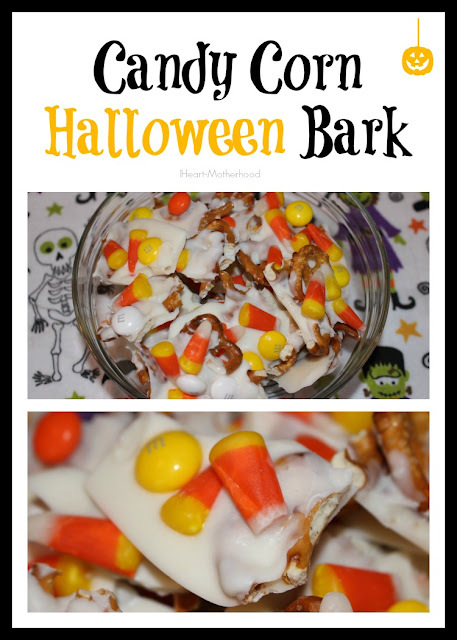 This would be a great treat for your Halloween party or to put in baggies and have your kids pass out at school!